Rahu and Ketu in the 4/10 axis of the natural Zodiac when change the signs on the 23th March 2019 may turn the table upside down when Ketu joins Saturn and then when Jupiter also joins them on the 29th March 2019. Initailly it may look like in this time frame that these Political Alliances may dominate the coming elections and defeat the Rulling Party, but surprisingly it may not completely happen like this. Jupiter the The Lord of the 9th house of the natural Zodiac will turn Retrograde at 00.13 degrees in Sagitarius in Gandantha and then Fall in Scorpio on the 23rd April 2019. This could be a Bolt from the Blue for the Political Alliances formed earlier. In this Position the Dispositor of Saturn and Ketu will be in the 8th house of the natural Zodiac till 5th Nov. 2019 and all the Rajyogas formed earlier will be spoilt. This may bring strifes and struggles in the alliances and they may not bring fruitful results against the Ruling Govt.Have a look at the chart of the 30th April 2019 when Saturn is also Stationary and turning Retrograde at 26 degrees most important with respect to Saturn in Libra at 24 degrees at the time of Sikh -Riots and 26th May 2014 when Modi came to Power in mboth cases Saturn was 24 degrees in Libra. 17-19th June 2019 also acquire an important dimension it so seems . The Eclipse on the 16th-17th July 2019 will add fuel to the fire and the effects of the same may even be felt much before the actual Eclipse in May and June 2019. 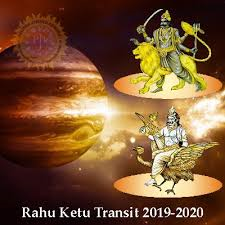 Rahu and Ketu change signs on the 23rd March as per true motion and as per mean motion on the 7th March 2019. Rahu will change sign to Gemini and Ketu to sagitarius sign. Both the signs are considered as the Exaltation sigs of the nodes where they are shifting.They are also considered to be very strong since they will also transit in there own Nakshatra Rahu in Ardra and Ketu in Moola. In Gemini Rahu will Transit in the Nakshatras of Jupiter, then own Nakshatra Ardra and then Mars. Ketu will transit in the nakshatras of Sun,Venus and then Its Own Nakshatra Moola. The Nodes will transit these signs for Approx 1 year 6 months and 18 days. The Eclipses will also Take place in the signs of Gemini and Sagitarius. As per ‘Bhriat Simhita’ when the Eclipses take place in the sign Sagitarius it brings down fall for the Kings,Head of the States,Ministers, Horses,People dealing with Expensive Cars, Body Builders,Military Personal,Doctors,and those dealing with Auryaveda and Medicines. The Places which will be effected most will be Bihar and Punjab. From the 6th April 2019 to 24th March 2020 there will be 3 Eclipses over the Sun and the Moon. Almost Degree aspect of Saturn, Rahu-Ketu and Mars and Luminaries also afflicted 5 Planets between 24-26 degrees and in 4/10 axis , but the 10th Lord is in the 10th House and the Lagna Lord showing strenth of the Prime minister but with help of other Planets influencing the 10th house. Tuesday 2/3 July 2019 there will be Solar Eclipse. This will not be visible in India , but it has been observed that still there will be influence on the Country some way or the other.This will not have any Religious importance in our Country. This Eclipse will be visible in South America,Panama,Middle and Southern Pacific Ocean. This is a partial eclipse. Also Read “Saturn The Disciplinarian Gifts The Key Person Sajjan Kumar With Life Term In ’84 Riots” https://www.astrodocanil.com/2018/12/saturn-the-disci…term-in-84-riots/.